She's not like the rest so show her that with the 'You're Special Bouquet'. Bright colors is the theme of this bouquet. 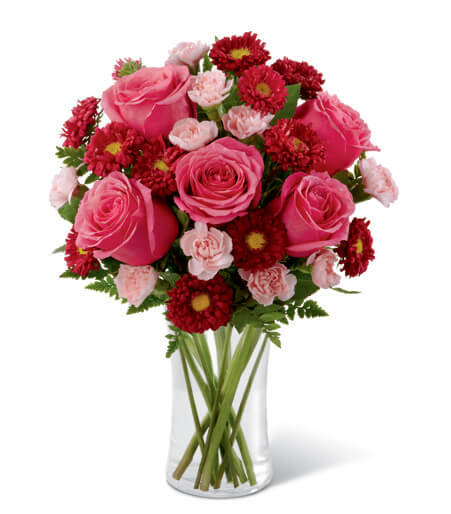 Fuchsia roses are set against red matsumoto asters, pink mini carnations and lush greens. Arranged in a classic clear glass vase. Brighten her day and make her feel special with this bouquet!